Teen boy dancing for his friends outdoors. 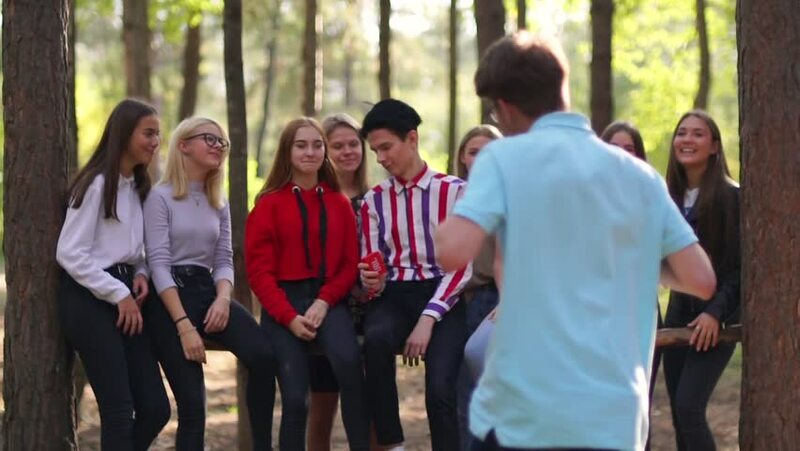 Group of teenagers having fun at the park. hd00:10Time lapse of crowded people in Jatujak Market, Bangkok, Thailand.December 26th, 2015.
hd00:30FREDERIKSTED, ST CROIX - JAN 2014: Annual Martin Luther King, MLK freedom parade urban town. Hundreds of school children, labor unions and organization march in solidarity. American Virgin Islands. hd00:20MADRID, SPAIN - SEPTEMBER 9: View as people pass by on a street on September 9, 2015 in Madrid, Spain. hd00:29GABROVO, BULGARIA - JAN 11: Carnival in Gabrovo on Jan 11, 2012. Carnival originated from the old traditions and festivals held in town, i.e. the Gabrovo Oleliynya (street festivities) and the 1920s fancy-dress parties.